How do sound and form impact a poem’s meaning? What strategies can readers use to increase comprehension and appreciation of poetry? How can writing and discussing our own poems enhance our experience of reading and studying poetry in general? Make inferences and determine the central meaning of a poem through close analysis. Develop inferential questions in response to a poem. Identify patterns in terms of sound, form, and ideas/content within a poem and analyze how the writer’s choices contribute to the poem’s overall meaning. Define and identify elements of poetry as well as inquiry and reading strategies. 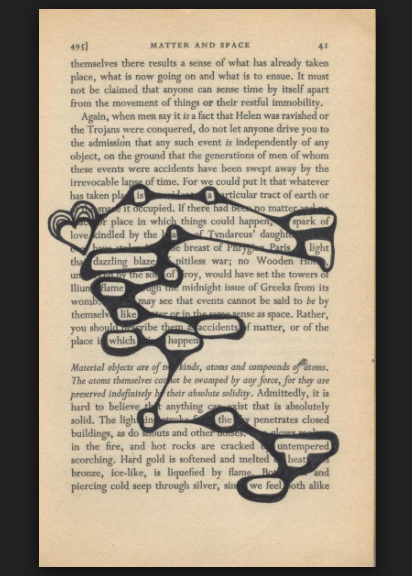 Respond to the text and explore the elements of poetry more in depth through creative writing​. • CCSS.ELA-Literacy.L.9-10.4b Identify and correctly use patterns of word changes that indicate different meanings or parts of speech (e.g., analyze, analysis, analytical; advocate, advocacy). Form/Structure + Content = Overall Meaning of the Poem & The Effect of the Poem on Reader. EVERY Choice A Writer Makes is INTENTIONAL and meant to add to the overall meaning of the poem. Anthony Hopkins Reads "Love Song"
"To Waken An Old Lady"
"The Last Words Of My English Grandmother"
"I Heard A Fly Buzz- When I Died"
"I Died For Beauty- But Was Scarce"
"I'm Nobody! Who Are You?" From "I Hear America Singing"
"We Two Boys Together Clinging"
Figurative Language: occurs whenever a poet uses words in ways that stray from their usual meaning. Poets often use figurative language to "help readers move from their familiar prior knowledge to understanding new, unfamiliar text...Metaphors or similes often consist of familiar physical, concrete entitiesthat are used to portray conceptual meanings" (from "Teaching Literature to Adolescents"). Imagery: Poetry is dense with images, things we can sense: hear, smell, see, taste, feel. Poets create what T.S. Eliot calls an "objective correlative," an objective, physical world that correlates (links) us to a feeling. Good poets don't just tell us how they feel; they put us in a world of images that allow us to feel what they feel. Voice/Attitude/Tone: When you read a poem it is essential that you see two fundamental parts of the poem: the speaker (who is talking?) and the subject (What is the poem about?). The attitude a speaker takes toward the subject creates her tone or voice. You should ask: Who is speaking? What is the subject? What is the speaker's attitude toward the subject? Patterns: Poetry depends on patterns much more than novels or other prose writing do. Not that we don't find patterns in novels, but in poetry there is a much higher concentration. By patters, I mean repetitions of sound. There are numerous types of patterns, the two with which we're most familiar being rhythm and rhyme. However, there are many sound techniques. Poetry also uses a device called parallelism. This is the repetition of a word, group of words, or even a part of speech. 1. Multiple Readings: Poetry can be tough to understand! The first time we read a poem, we often read to understand the plot or the events occurring on the surface of the text. The second time we read, we often identify a connection between two ideas or spot a phrase we might view as significant. 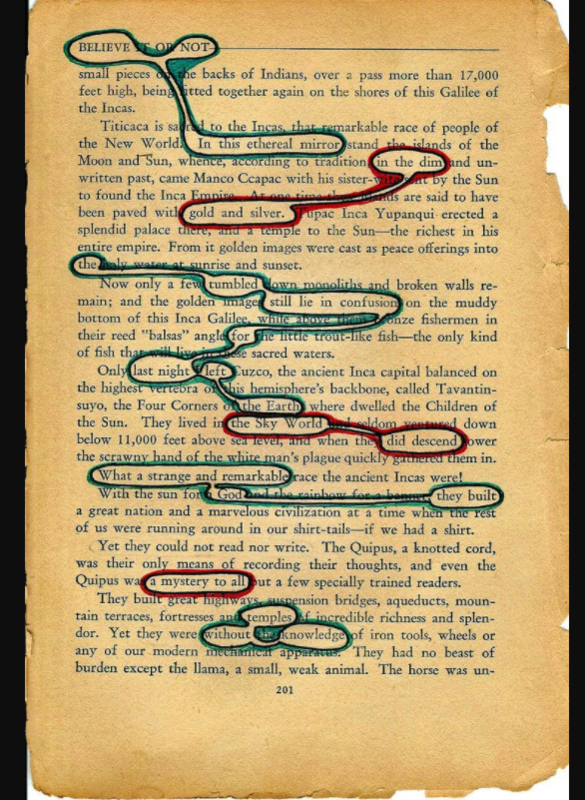 Multiple readings is especially important in poetry because often the literal is less important than what the writer is implying or trying to express through words and images. 2. Threading: Noting words, phrases, or passages that stand out to you is how you make sense of the poem’s meaning. You can do this during your first, second, third reading of the poem. Don't dismiss your own skill as a reader. There is a reason why something stands out to you! It's intentional! Start to inquire: What about this stands out to me? Initially published anonymously, Emerson's first collection of essays, Nature, is the culmination of much soul-searching and scholarly study by Emerson in the fields of philosophy and religion. Never intending to be regarded as a philosopher, Emerson emerged as one of the original thinkers of his age, oftentimes poetically expressing his ideals.
' .... of Nature itself upon the soul; the sunrise, the haze of autumn, the winter starlight seem interlocutors; the prevailing sense is that of an exposition in poetry; a high discourse, the voice of the speaker seems to breathe as much from the landscape as from his own breast; it is Nature communing with the seer." James Taylor's "Fire and Rain"
THIS IS A delicious evening, when the whole body is one sense, and imbibes delight through every pore. I go and come with a strange liberty in Nature, a part of herself. As I walk along the stony shore of the pond in my shirt-sleeves, though it is cool as well as cloudy and windy, and I see nothing special to attract me, all the elements are unusually congenial to me. The bullfrogs trump to usher in the night, and the note of the whip-poor-will is borne on the rippling wind from over the water. Sympathy with the fluttering alder and poplar leaves almost takes away my breath; yet, like the lake, my serenity is rippled but not ruffled. These small waves raised by the evening wind are as remote from storm as the smooth reflecting surface. Though it is now dark, the wind still blows and roars in the wood, the waves still dash, and some creatures lull the rest with their notes. The repose is never complete. The wildest animals do not repose, but seek their prey now; the fox, and skunk, and rabbit, now roam the fields and woods without fear. They are Nature's watchmen — links which connect the days of animated life. The indescribable innocence and beneficence of Nature — of sun and wind and rain, of summer and winter — such health, such cheer, they afford forever! and such sympathy have they ever with our race, that all Nature would be affected, and the sun's brightness fade, and the winds would sigh humanely, and the clouds rain tears, and the woods shed their leaves and put on mourning in midsummer, if any man should ever for a just cause grieve. Shall I not have intelligence with the earth? Am I not partly leaves and vegetable mould myself?